As Snapchat looks to pay the bills, CEO, Evan Spiegel, says the messaging app will include advertising "soon". 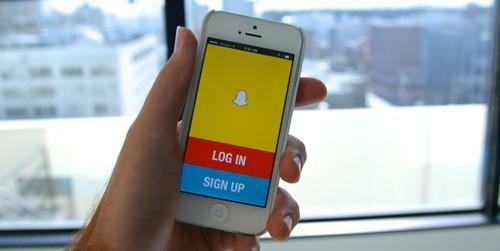 The ads won't be part of Snapchat's core 10-second messaging service. Instead, they'll be woven into the app's Stories section, which lets users string together multiple messages into a thread that self-destructs after 24 hours. "We're cutting through the new technology around ads to the core of it, which is telling a story," Spiegel said at an event hosted by Vanity Fair. Although some brands such as Taco Bell have been tapping into Stories already, those unpaid promotions only reach users who willingly follow the brand in question. Snapchat is also rumored to be working on a promotional offering called "Discovery," which would let users view stories from major media companies--presumably with advertising attached--but it's unclear if this is what Spiegel was referring to. Why this matters : Snapchat reportedly turned down a US$3 billion acquisition from Facebook last year, suggesting the company has much bigger aspirations beyond being bought by another social network. Still, the startup has yet to launch any revenue-generating efforts that might turn it into a sustainable independent business. That'll have to change, but the focus on Stories instead of the core product shows how Snapchat will need to move carefully with ads to avoid driving its users away.